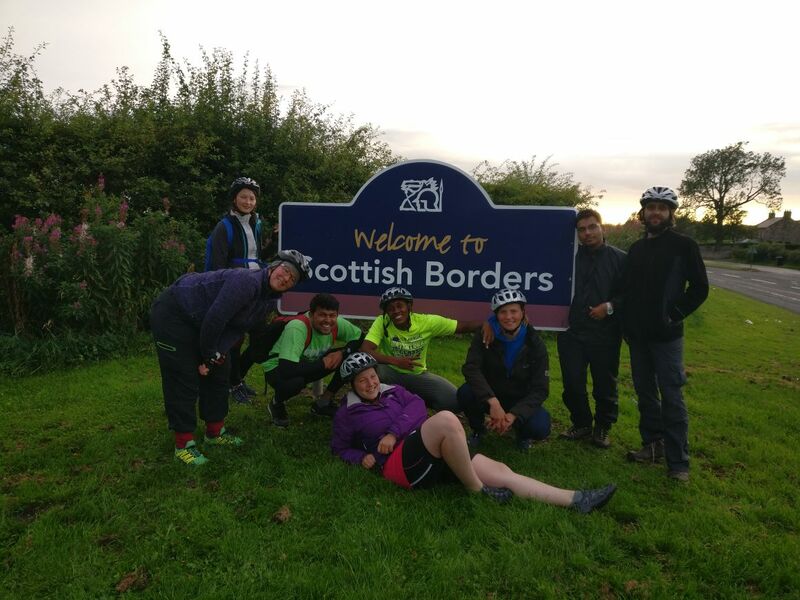 There is a surprising amount of miles between North Berwick and Berwick (around 55 miles) but we conquered them nevertheless on our fourth day of the bike tour! 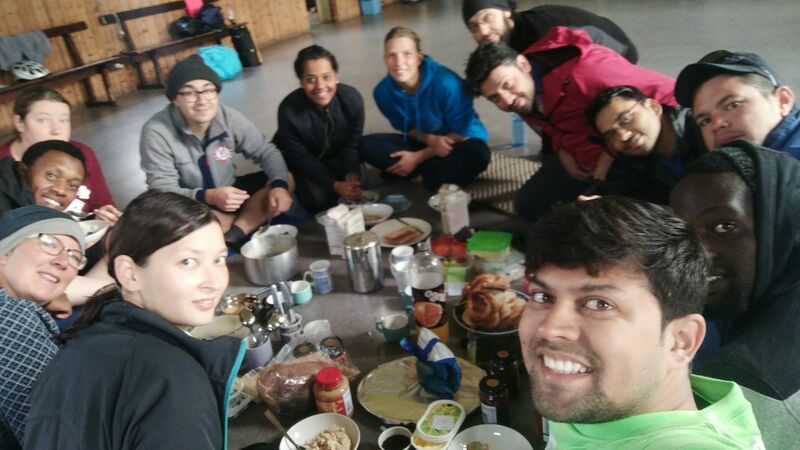 After tackling an array of hills and having a coffee (plus Scones, plus hot chocolate plus fried eggs plus … but who´s counting the calories anyway?!) in the lovely city of Dunbar, we had lunch at a seaside resort and split up in two groups afterwards. We wanted to try this to see if it would be a better fit to the needs of the participants than staying in one group together. The agreed meeting point was the aptly named town of Eyemouth. 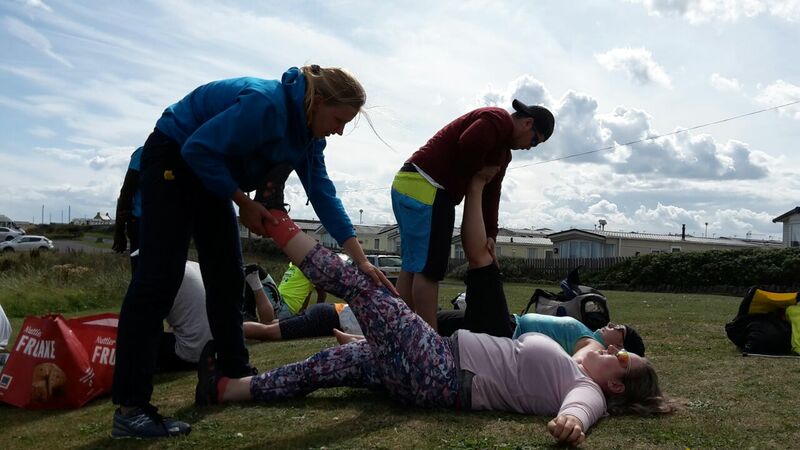 Due to some divine intervention, one of our participants had a small accident. He didn´t hurt himself, but while repairing the bike on the side-walk, the participants encountered a retired GP from Eyemouth who invited us for tea and biscuits at her place. We had some fruitful discussion about life as a GP, working for the NHS and nuclear weapons and energy. The last bit was especially interesting, as we passed a nuclear power plant on our way. The retired GP told us about the way people protested the nuclear power plant, when it was built and are now protesting the windmills – both for aesthetical reasons mostly. She also mentioned that Scotland has the capability to produce energy solely from eco-friendly renewable sources, but the technology is still lacking in terms of storage. She questioned the political will behind this issue – surely, if there were enough resources to send a man to the moon, it should be possible to generate energy only from renewable environmental-friendly sources, as well. After saying our heartfelt goodbye to her, we went on to the last miles to Berwick, where we fell asleep after an truly excellent dinner – Exhausted, but happy that we survived another day without any serious injuries.